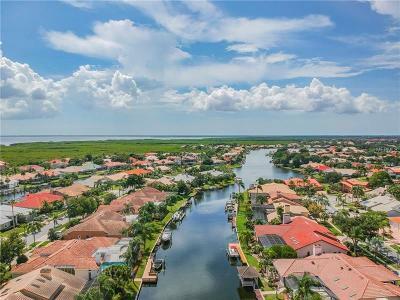 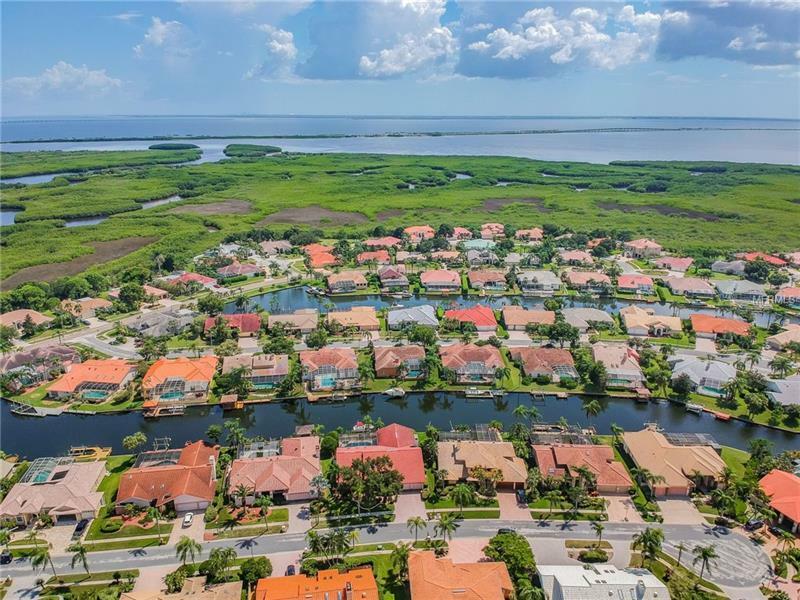 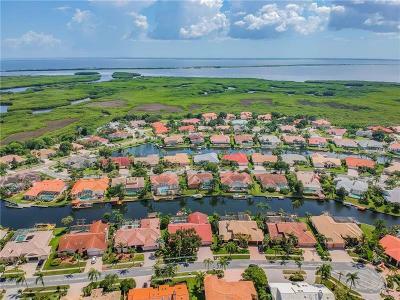 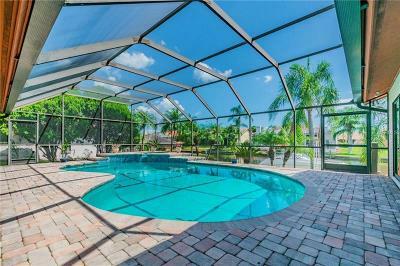 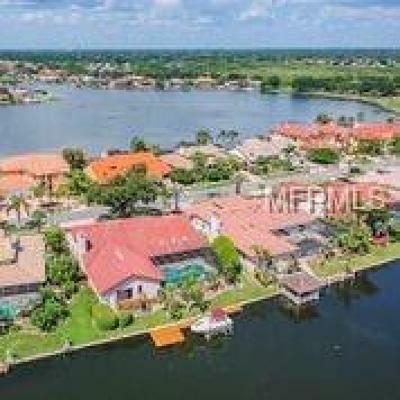 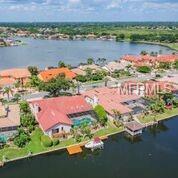 Waterfront home in gated community with access to Tampa Bay and the Gulf. 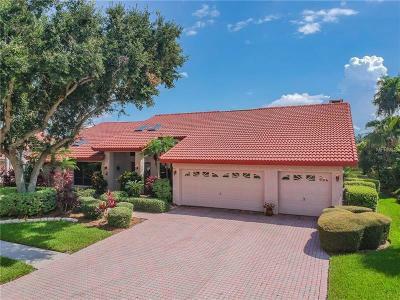 This Smart Home has 5 systems that allow you to control most devices from the palm of your hand, including home security with cameras and sound, lighting, and dual thermostat regulation! 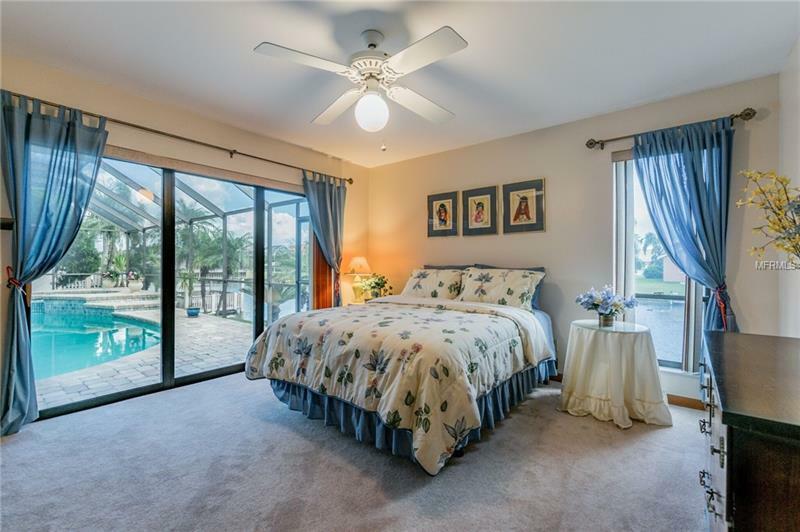 From your first impression as you approach the leaded glass entry doors thru to the resort-like pool and spa area with aggregate rock and lanai to the waterfront, this custom master built home promises rare quality and comfort. 12 foot ceilings in foyer, living and dining rooms, high vaulted master ceiling and cathedral ceiling in family room add to the grand spacious feel. 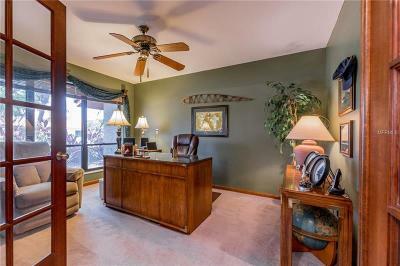 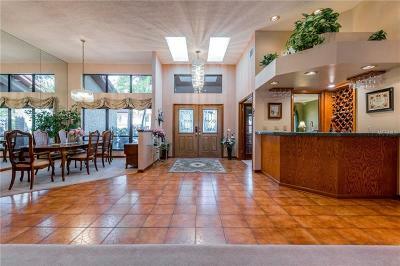 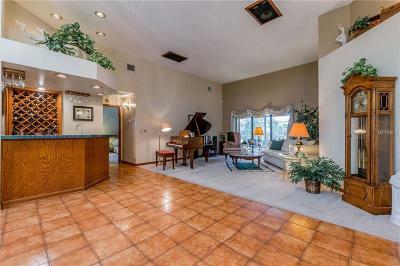 At the foyer, French doors open to the den/office with a wet bar that serves to the living and dining rooms. 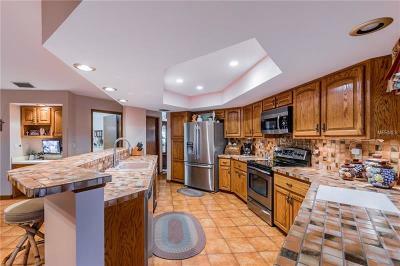 The kitchen cabinetry is solid oak, tops are ceramic, stainless steel appliances, counters are generous and include breakfast bar, new ceiling with LED lights and there is a pass-thru to the pool kitchen with new sink. 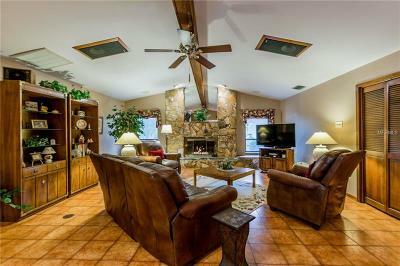 All overlooking the family room with its dramatic stone fireplace. 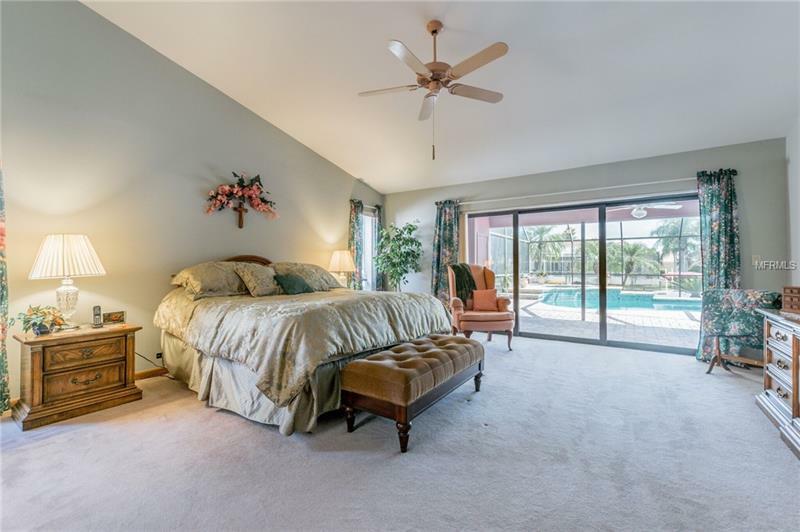 The large master suite offers luxury with a 56 inch diameter jetted tub, walk-in closets and sliders to the lanai and pool area. 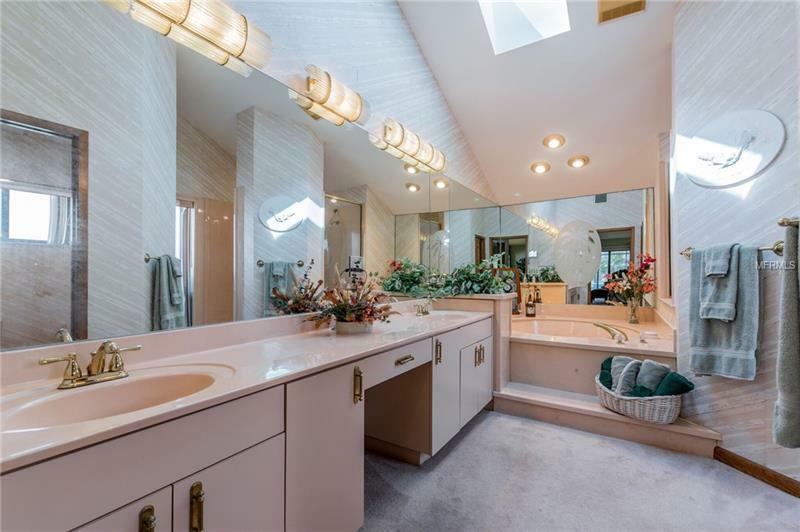 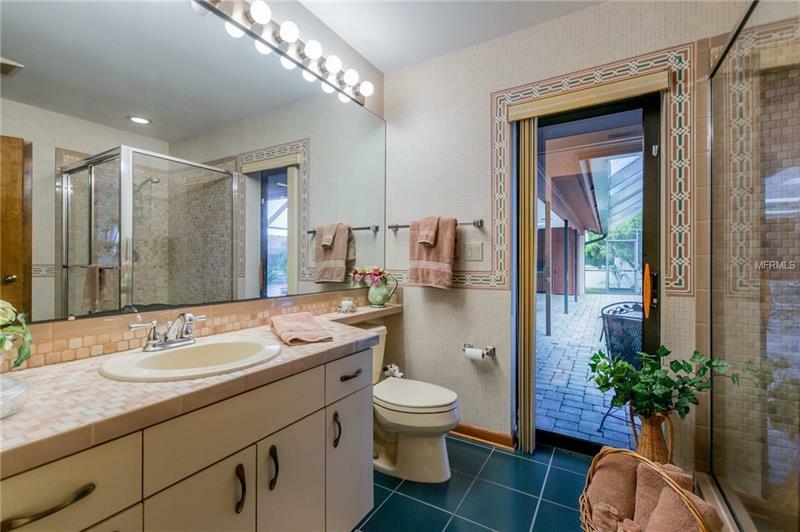 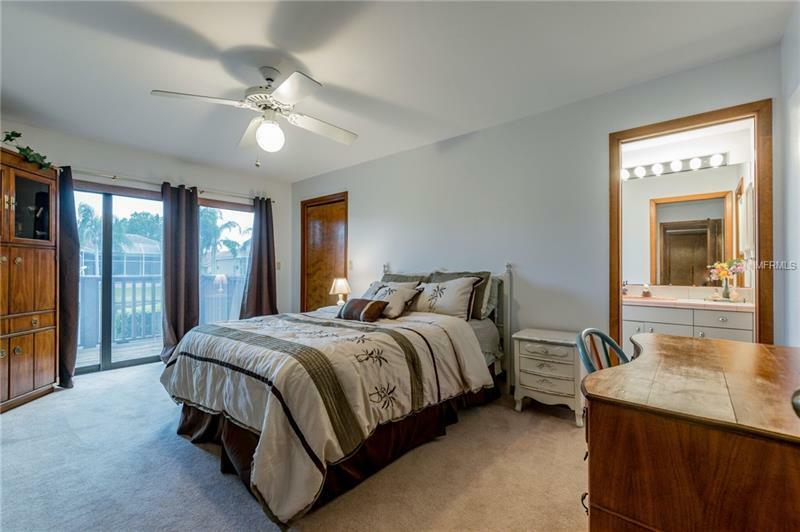 Wide hallway off the family room presents 3 bedrooms and 2 baths, while the 5th bedroom and fourth bath is designed for privacy. Brazilian tile throughout, 3m hurricane film on all windows, 5bed/4.5bath, lush landscape, pavers, dock, boat lift, oversized 3 car garage. 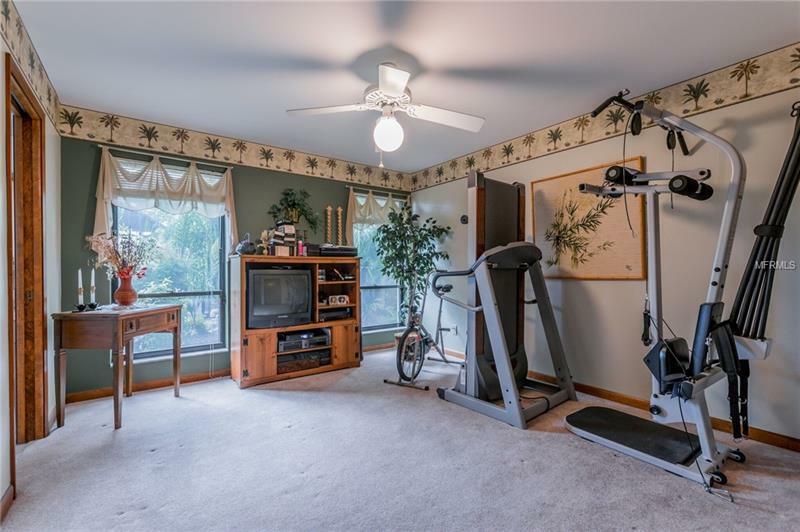 Home needs updating throughout.